hope everyone's new year has kicked off right and is off to a great start! I love mixing and this is fab! Loving those pants and shoes! Must have! They are two of my favorites for sure! Such a great way to dress up camo! 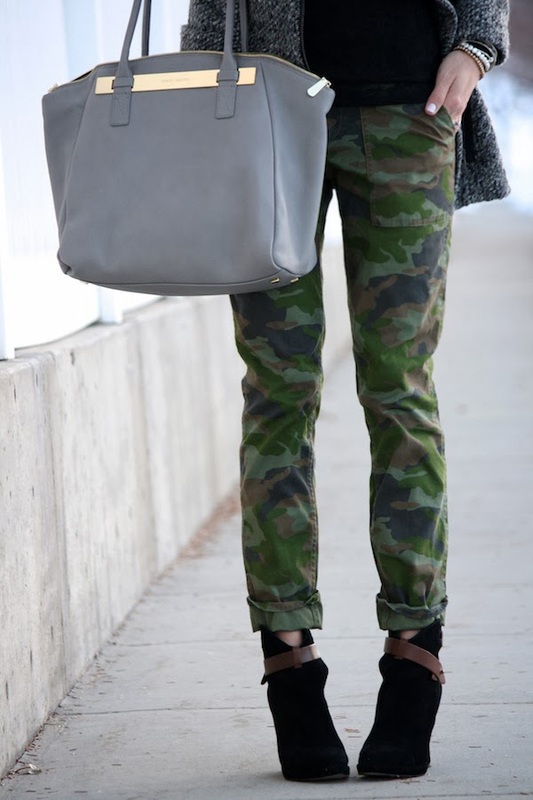 Camo has almost become a neutral for me, I love it! Thanks girl! Absolutely adorable! Love everything about this! Ah, thank you so much! It's all those pre-natal vitamins I tell you! Haha!